Honoring his longstanding promise, President Donald J. Trump ditched a nuclear deal that for years effectively blunted Iran’s nuclear ambitions. Crippling sanctions that punished Tehran’s illicit nuclear activities also curbed its power projection in the region, disturbing Gulf nations and Israel. The nuclear deal, however, unlocked Iran’s frozen assets and helped expand its oil and gas trade. “A state sponsoring terrorism is better than a state sponsoring terrorism with nuclear weapons,” James Clapper, former Director of National Intelligence, once said, summarizing an Obama administration narrative that Iran’s regional ambitions are a separate subject from its nuclear activities. The Trump administration doesn’t agree. This week, we talked to Robert Einhorn, a senior fellow at the Washington-based Brookings Institution, about President Donald J. Trump’s decision and its possible consequences. Einhorn played a leading role in the U.S.-Iran negotiation team as a former State Department special adviser during the Obama administration. Q: Trump announced on Tuesday he would pull the United States out of the nuclear deal (JCPOA) with Iran. What will the implications of this move be? Einhorn: I think the implications are very negative. This decision is going to lead to a rift between the United States and its European allies. It will lead to greater instability in an already unstable Middle East. 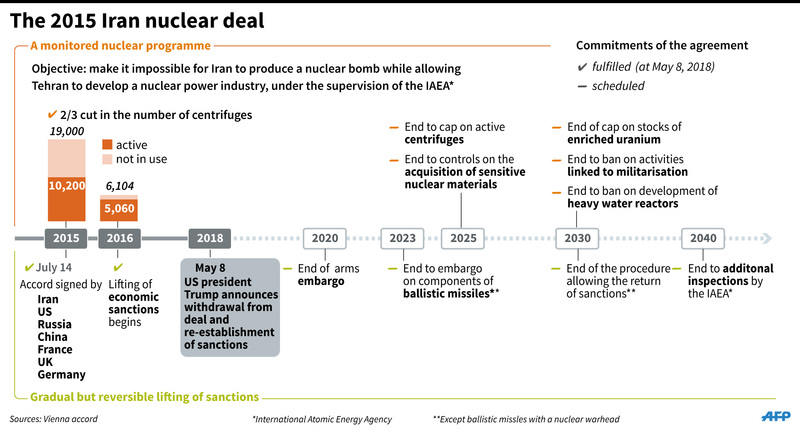 It will allow Iran eventually to increase its nuclear capabilities and to remove some of the unprecedented monitoring provisions that it was required to accept under the JCPOA. Unfortunately, despite all these negative features, Trump pulling the U.S. out of the deal will not achieve its stated objective which is to create strong pressure for arriving at a new and bigger deal. Perhaps it will down the road, in several years’ time. Right now, the likelihood of a new and bigger deal is very, very low. The Trump administration hopes that by generating much stronger pressure Iran will be forced to make additional compromises, but the reality is that this decision will only generate pressures that are much weaker than those existing in 2012, 2013 and 2014. The Trump administration will be asking Iran to make much greater concessions, without having the same amount of leverage that it had years ago. How can you achieve more with less? Q: What does this withdrawal mean for America’s credibility on the world stage? Einhorn: I would say American credibility took a huge blow. 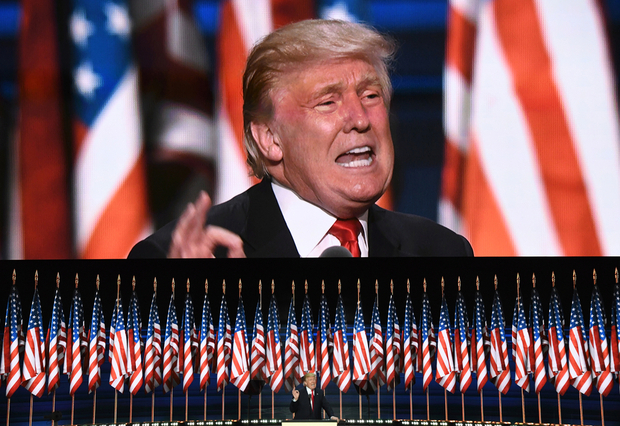 The U.S.’s position of leadership, which they traditionally had, will suffer immeasurably. 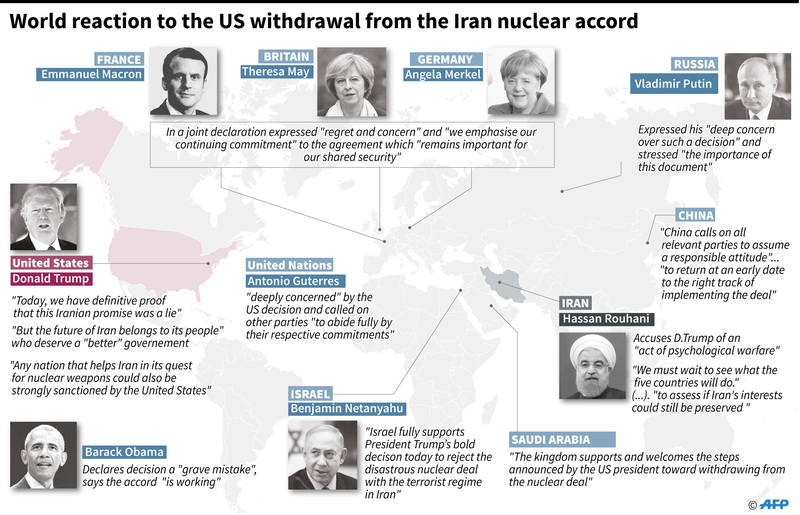 The U.S. was the principal force behind the JCPOA and has been a principal force behind most important developments in the area of nonproliferation. The withdrawal from this historic agreement will undermine the ability of the U.S. to have much of an impact in these areas in the future. Q: What are the consequences for the balance of power and stability in the Middle East and how likely is it that this will lead to a nuclear arms race in the region? Einhorn: The decision itself and the re-imposition of sanctions do not immediately affect the balance of power. I think the hope of the Trump administration is that the withdrawal will put so much pressure on Iran that the country will pull back from its support through proxies throughout the region. I question whether leaving the deal will have that effect. I think right now a much more consequential factor is the prospect of a shooting war between Israel and Iran rather than the termination of the nuclear deal itself. The chance of a possible nuclear arms race depends on Iran’s choices. Eventually, Iran may decide it can no longer be bound by the nuclear restrictions of the JCPOA. If it decides so, it will also have to decide whether and how quickly to increase its nuclear capabilities. 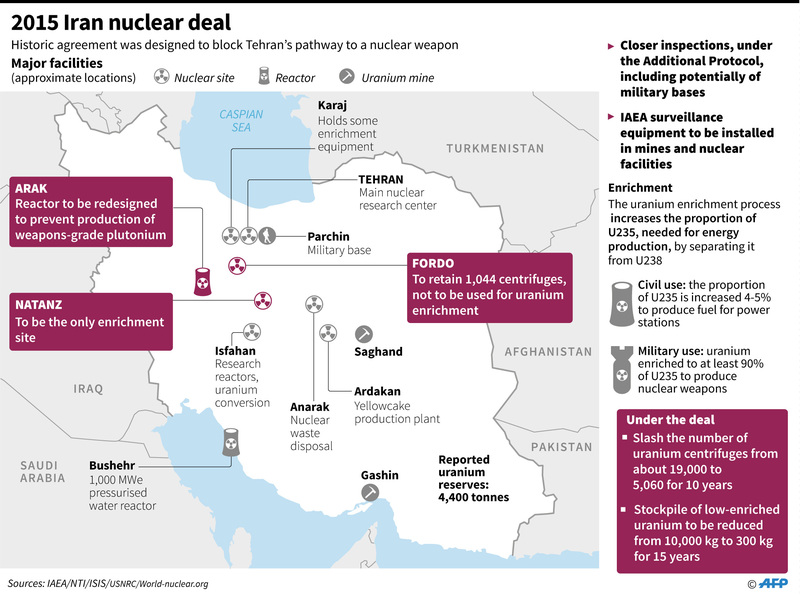 If Iran chooses to ramp up its nuclear capabilities quickly and provocatively, it will increase incentives for others in the regions, particularly Saudi Arabia, to try to match them. If Iran proceeds in a very incremental way and decides it does not need a large-scale enrichment program in the next few years, I think this will not generate so much pressure. Q: Analysts have argued that Trump’s move may represent the first step in a larger goal of achieving regime change in Tehran. How likely would you say this scenario is? Einhorn: Trump’s administration is not monolithic. I think there are many in the Trump administration whose goal is to change Iran’s behavior: to further reduce the likelihood of an Iranian nuclear weapons capability, to constrain Iran’s missile programs, to try to discourage Iran’s support for proxies throughout the region and so forth. However, there are also those in the administration who would like to see a change of regime. These ‘regime changers’ don’t articulate their views, but there are those who believe this is the real goal of this pressure campaign. Q: Do the remaining countries have any options to preserve the deal, even if Trump follows through on threats to sanction those who maintain business ties with Iran? Einhorn: The Europeans will try. They have indicated that they will reach out to Iran and try to persuade the country to remain bound by the provisions of the JCPOA. The Iranians have said that they will explore with the Europeans whether it is possible for them to deliver to Iran the economic benefits that Iran believes it is entitled to under the JCPOA. The Europeans will try very hard to encourage European banks and businesses to stay engaged with Iran. The problem is, however, that even though European governments will try to encourage the private sector to stay engaged, private sector institutions will be driven by business decisions and by what is best for their business. With the re-imposed U.S. sanctions, this European banks and businesses will have to make a choice: do we want a deal with Iran or with the U.S.? I think virtually all of them, especially the major ones, will decide that it is too risky to remain engaged with Iran. It would be one thing if Iran was an easy place to do business with to begin with, but it is not. Even without the threat of secondary sanctions, many private sectors throughout the world are very wary about being involved with Iran because of the corruption, mismanagement and bureaucracy and all the rest of it. It is not an attractive place to invest and this new decision by the Trump administration will have an additional chilling effect on any prospects on private sector engagement with Iran. European banks and businesses will extricate themselves and when they do, I think Iran will draw the conclusion that Europeans, despite their best intentions, are not really able to deliver the economic benefits. Eventually, whether it’s weeks away or months away, I think Iran will conclude that the deal has little benefit for them in the absence of the U.S.
Russia and China will try to take advantage of the situation and try to further split the U.S. from its allies. They will try to isolate the U.S. more. Maybe they will take commercial advantage too. A number of countries will comply with the U.S.’s demand to reduce their purchases of crude oil from Iran, which may get Iran in the situation where it is desperate to move its oil to market, where it begins discounting its oil. A country like China may try to take advantage of that and even increase its imports of Iranian crude oil at a discounted price. Q: Trump will meet North Korea’s leader Kim Jong-un in June. What influence will his last action have on possible denuclearization negotiations with Pyongyang? Einhorn: You hear different viewpoints on that. The Trump administration says it is going to increase the likelihood of success with North Korea because Kim Jong-un will realize that President Trump is not going to accept an inadequate deal, that he is going to be very demanding. They believe this will reinforce the U.S.’s negotiation position. Others believe that Trump’s decision will give Kim Jong-un the impression that he can’t trust any deal reached with the U.S.
My own view is that the move will not have a major effect on diplomacy with North Korea. I think the North Koreans consider themselves unique and in a unique situation. They think that what happened with the Iran nuclear deal, won’t necessarily happen with any deal between the U.S. and North Korea. The North Koreans may figure that Iran was vulnerable, that it didn’t have much leverage and that it was possible for the U.S. to withdraw from the deal without paying a huge cost, whereas if the U.S. bails out of an agreement with North Korea, that North Korea has a ready nuclear weapons program that it could turn back to.